Yesterday was quite a banner day. My son, Marcus (the professor) and his wife, Maryana, came for a visit from Tampa, Florida. We had breakfast at Plow. While waiting to be seated, we met two men out front. One was demonstrating the robot he had made at TechShop. It was playing Angry Birds. The other was a potential investor. It was the perfect introduction to the entrepreneurial spirit that is so vibrant in San Francisco. Inside was a mother with her baby in a sling. I couldn’t resist pulling out my cell phone to show her pictures of Nesting Days. We exchanged contact information and today I already received an email from her. Yah!! A new test mom and baby. The hostess overheard us and said her friend had a baby on Mother’s Day, and that she was having some trouble due to a complicated birth. Her eyes teared up as we spoke and I told her I would bring her a sample carrier a.s.a.p. 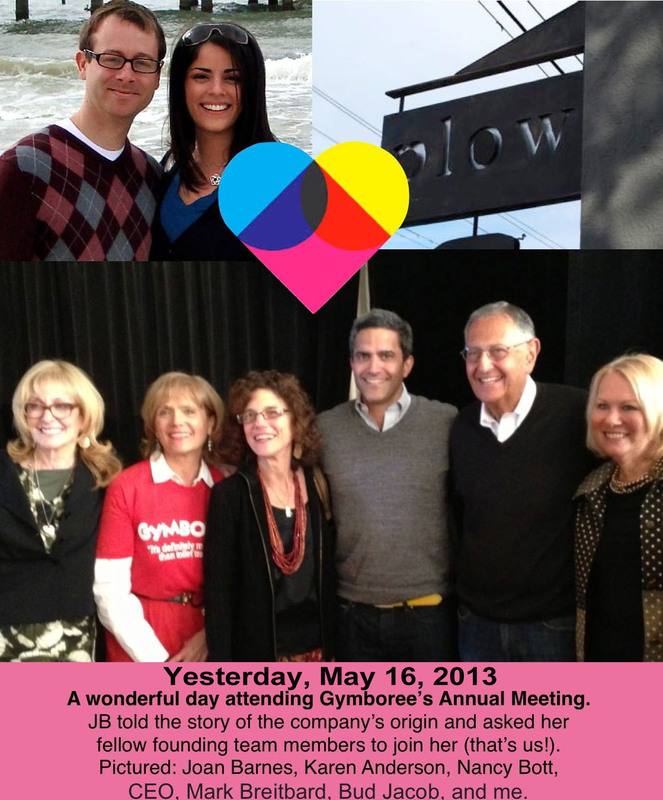 I had to leave my dear ones to attend Gymboree’s Annual Meeting -- the first time the founding team was reunited at the company in over two decades. Joan Barnes, the founder, had been invited to share Gymboree’s origin story and the rest of the founding team had been invited to join her. As I sat there, marveling at how this amazing company had grown from its humble beginnings, I also thought about how our lives take shape. My love of the entrepreneurial and adventurous spirit that permeates this city, and my passion for motherhood has led me to exactly where I am today -- the creator of Nesting Days. If we listen to our hearts carefully, they will speak to us. If we follow our hearts, we are truly blessed.